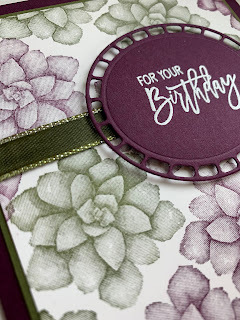 I was honoured to be asked to join the Stampers Showcase Blog Hop with many talented stampers from all over the world! This month's theme is Birthdays. 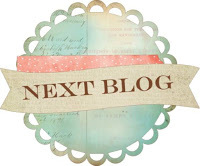 I hope you enjoy hopping around from blog to blog! I love the Painted Seasons stamp set that you can get as a Sale-A-Bration item until March 31st! 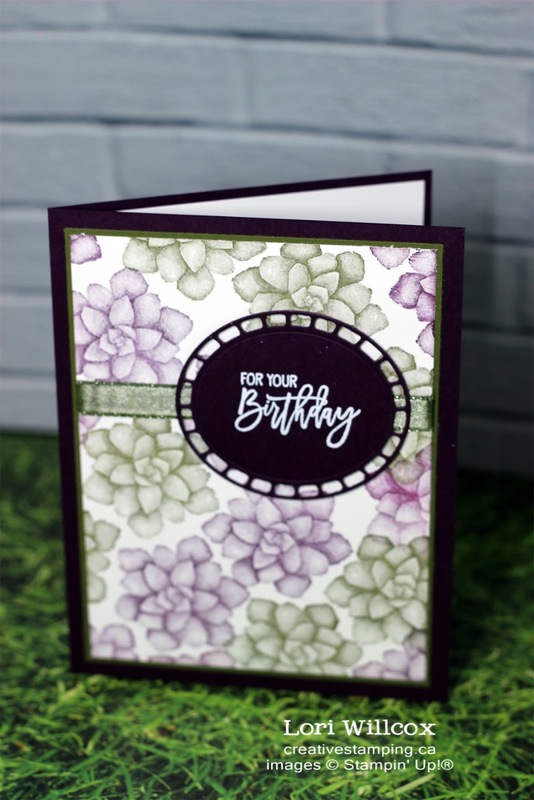 With a $120 CAD order, you can get this stamp set and coordinating Designer Series Paper FREE! For a FREE PDF of the instructions, click on Print Recipe below (above the Product List). On a piece of Whisper White cardstock measuring 3-3/4" x 5", randomly stamp the succulent plant/flower in both Blackberry Bliss and Mossy Meadow inks. Cut a 5" piece of the Silver Metallic-Edge 3/8" ribbon and colour it with a Mossy Meadow light Blends pen. Wrap it around the stamped cardstock piece about 1-1/2" from the top and adhere at the back. Adhere the cardstock to a 3-7/8" x 5-1/8" piece of Mossy Meadow cardstock. Stamp the sentiment from Birthday Cheer in Versamark ink, cover with White Emboss powder and heat using the Heat Tool. Die cut using the Wonderful Floral Framelits oval or substitute another oval if you like (Wonderful Floral Framelits are no longer available to purchase). Mount the oval over the ribbon using Stampin' Dimensionals. Adhere the piece to a Blackberry Bliss card base measuring 5-1/2" x 11", scored at 4-1/4".